This 12x12 double sided paper has rows of Colorful Happy Crayons on the frontside while the reverse is Plaid in Green, Blue & Rust. 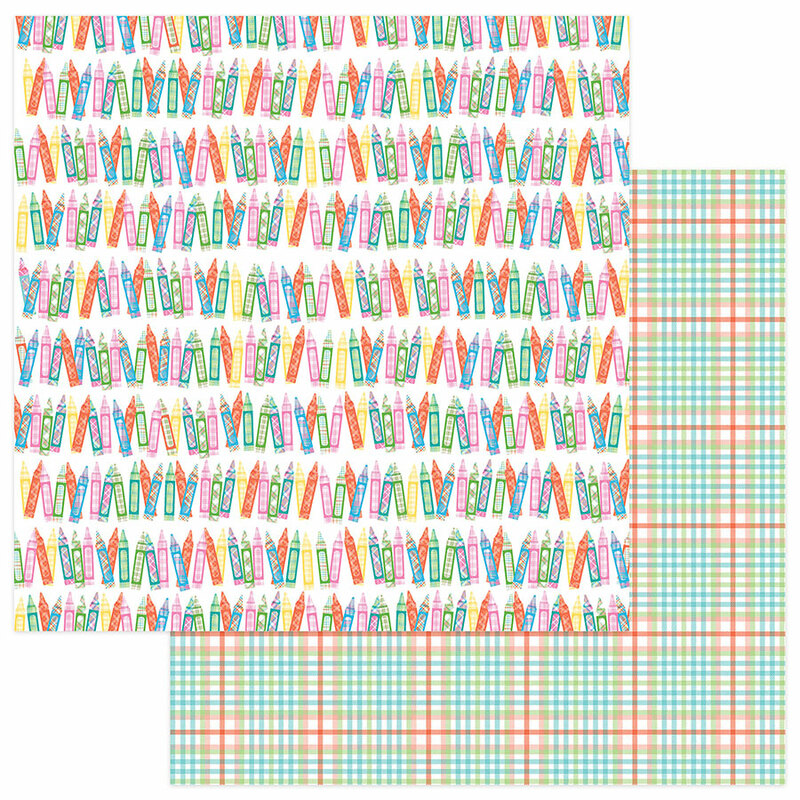 Part of the Happy Mad 4 Plaid Collection by PhotoPlay Papers. Look for other coordinating papers.